I’ll admit this straight off the bat. No, I didn’t cry. I didn’t even come close, to be honest. While I do enjoy Key/Jun Maeda works (namely Clannad, Little Busters and Angel Beats! ), I find the comedy much more appealing than the drama most of the time, and Planetarian is pretty much entirely a drama. The peppy heroine saves the story from being entirely maudlin, although the ending was sort of like the Hobbit movies. It went on for far, far too long. 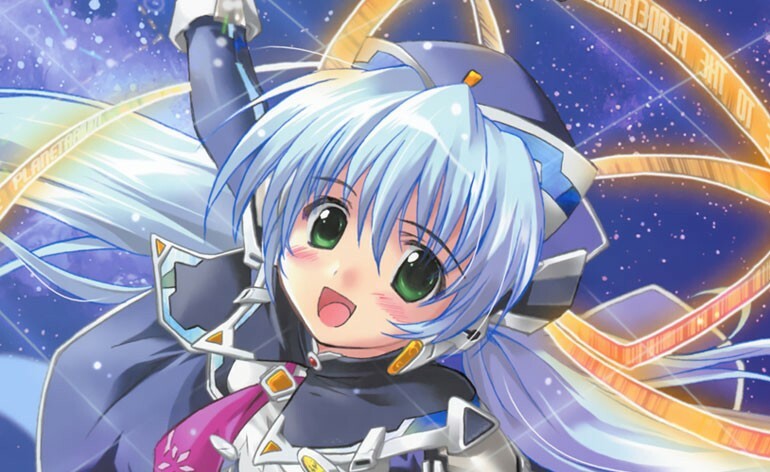 To its credit, Planetarian maintains a consistent tone throughout its 3-5 hours of gameplay. The narrative works mostly because of its minimalism. Unlike the last visual novel I played, there are no wasted scenes in Planetarian. Although there are only two characters in the story, the setting comes to life. This is pretty impressive when you consider the lack of variety in the backgrounds and music tracks. Make no mistake – Planetarian is a dated release, but it gets by on the strength of its prose. The story follows an unnamed man voiced by Daisuke Ono (屑屋, or ‘Junker’ in English) and a robot girl named Yumemi Hoshino (ほしのゆめみ). This android girl doesn’t dream of electric sheep, but she does dream of stars. A relic of a bygone era, Yumemi remains oblivious to the war that destroyed civilisation. Now, she exists only to show her first customer in years the wonders of the planetarium – a planetarium that has long ago fallen into disuse. The post-apocalyptic setting is nothing you haven’t seen before, but there is something genuinely charming and endearing about Yumemi’s passion for stargazing. As a robot, Yumemi emblemises the forward-thinking optimism of the human race, but ironically the humans themselves have given up hope. Inevitably, Yumemi’s undying optimism rubs off on the Junker, and through her he discovers a renewed sense of humanity. Yumemi might seem like an implausible character, but I don’t think she’s that unrealistic. Her personality remains very static throughout the entire story, but the Junker perceives more and more humanity in her behaviour as time goes by. It reflects the nature of human fascination with robots. Robots do not possess a human mind, but they cannot help but reflect their creators. The fact that humans can become so emotionally attached to robots honestly says more about humans than it does about the emotional capacity of the robots. As I was reading the visual novel, I could not help but be reminded of PARO, the world’s most therapeutic robot, according to the Guinness World Records. Seriously, how could you not get attached to these kawaii mofos? So yeah, what I liked most about Planetarian is that it reflected a sincere, earnest belief in humanity, despite the bleak scenario. It helps that it’s not a romance, because let’s be honest – that would have been weird. Also, for what it’s worth, I think that the story peaks around the middle mark. The second half never manages to capture the magic of the planetarium scene. I know that some people found the ending very moving, but I found it too conventional and heavy-handed. That’s about all I can say without spoiling it. Finally, I’d just like to mention a quick note about my experience reading a visual novel in Japanese. Japanese is not my first language, so I read it much slower than English. I mentioned that Planetarian is a 3-5 hour long game, but according to Steam, it took me 9 hours to finish. I was messing around on Twitter and Skype as I had the game open so that time may not be an accurate measure, but still, I’d say I took approximately twice as long as normal to read it. Now, it’s not as if I can’t decipher these sentences at all, but I do have to concentrate harder. Instead of reading the sentence as a whole, as I am used to doing in English, I read each word individually and then piece together the meaning of the sentence. It gets tedious after a while, especially when I’m not interested in the subject matter. The solution? Read more, but also develop better skim reading techniques. One of the good things about the Japanese language is that the particles and sentence endings highlight the important parts of the sentence. After I started using skim reading techniques, the game became more fun to read. Other than those tedious passages I described, I thought Planetarian had some nice prose, especially in the more emotional parts. The dialogue, though, was a little plain. Perhaps that had something to do with the Junker not being a particularly communicative type, so the two characters never really bounced off each other. Keiko Suzuki did a wonderful job injecting real enthusiasm into Yumemi’s impeccably polite lines, though. I can’t comment on the English translation, so for those who have read it, I would be interested in hearing your thoughts on it. Was it good/bad/indifferent? Also, how do you approach reading for pleasure in your second/third/tenth language? Feel free to share your thoughts! Posted on June 21, 2015, in Reviews and Impressions and tagged angel beats, clannad, jun maeda, key drama, little busters, planetarian, visual novel. Bookmark the permalink. 19 Comments. 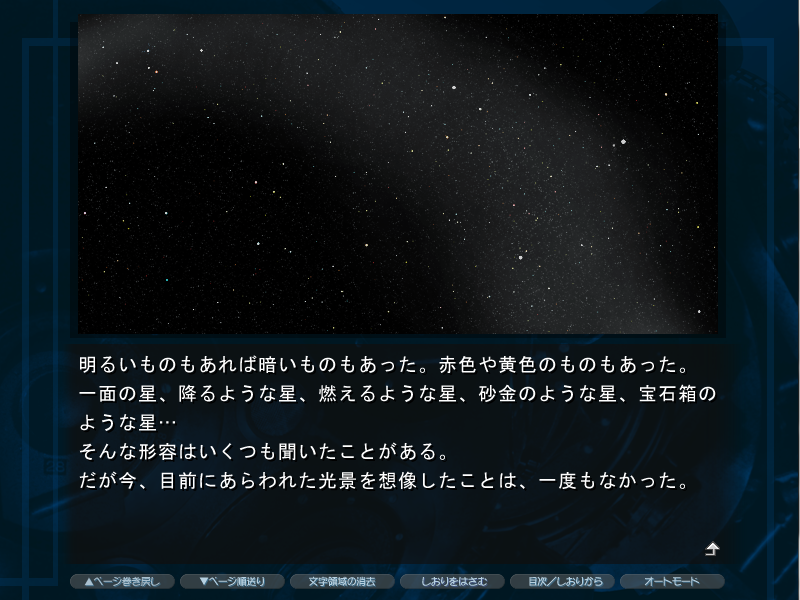 I have read Planetarian in English. Despite the fact that it’s official translation, I did’t find the translation much better than typical fan translation, with sentence and dialogue can feel really clunky. Also didn’t help that I’m reading the Hobbit at the time, the different in prose quality can be quite jarring(the writing style between the two is quite different though). On visual novel as a whole, I can’t get into their style. They occupy an uncomfortable space between novel and anime. I refer a novel with great writing or a beautifully drawn anime. With novel, I can imagine the setting, the voice, the fact that it’s text only make me focus better. With anime, I can see the visual technique and hear the voice without being bothered by too much text.Visual novel has a few still sprites and limited background with tons of voiced text. I find it very annoying. On general quality of the visual novel content, most of them can’t hold a candle to actual novel. Didn’t help that they can be absurdly long, desparately in need of a editor. The fanbase is quite toxic and full of elitism( especially Type Moon fanatics). English is my second language. I can easily read most English novels with ease. Still have problem writing essays though, and stuffs like Shakespeare are nearly incomprehensible for me. The resemblance of Sekai Project’s release to a fan translation may well be explained by the fact that a number of people who work on the projects are fan translators or former fan translators. 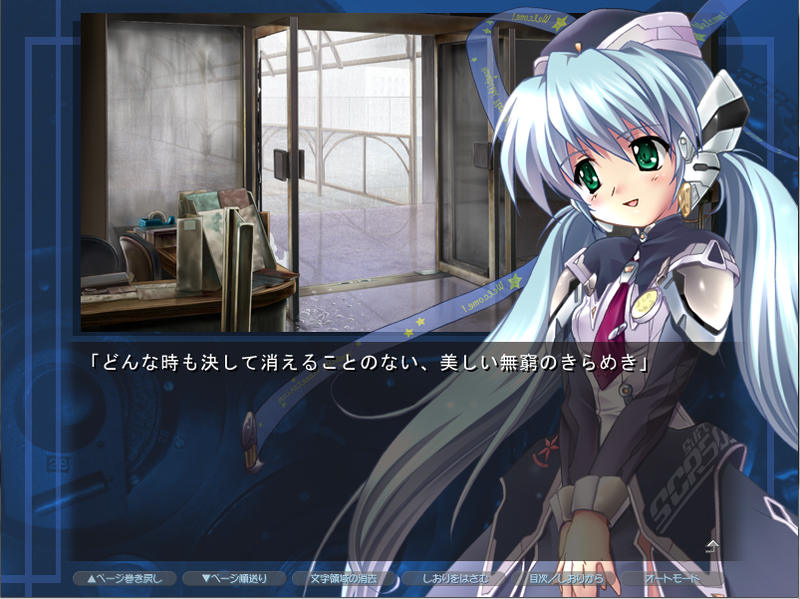 The line between fan translators and official translators is rather blurry in the VN world. It’s interesting that you’re so fond of The Hobbit’s prose, because Tolkein’s prose has never been regarded as the best part of his works, even by his fans. Your English is great, by the way! I’m very impressed with it. Thank you for your praise! Maybe because English is not my first language, I liked the simple and whimsical nature of the Hobbit’s prose. I think it add a lot to the fun and charm of the book. The novel capture the childlike wonder and dreamy adventure that we all hoped would come to us when we were young. Not a fan of Lord of the Ring. Tolkien got way too obsessed with world building in those books, plus a ridiculous amount of song. Yeah, The Hobbit was my favourite Tolkein book as well. I haven’t read it since I was a kid, but I’ll always have a soft spot for old-school adventure stories. Pity Peter Jackson never realised that the charm of the book lies in its simplicity. I’m glad to hear you got some enjoyment out of Planetarian, though it’s unfortunate that the second half wasn’t to your tastes. I agree with the vast majority of your statements regarding the novel, however. The translation was adequate without standing out in my opinion; while I wouldn’t say Sekai Project’s English flowed as naturally as a native writer’s it still managed to convey the feeling behind the VN without any trouble. There were a few typos and grammatical errors when I played my copy but that was pre-release. Keep at it with the Japanese! I’m sure you already know about this, but there are tools you can install to translate words in the Japanese game text. I don’t use such programs myself, but I can see how they’d be immensely handy. As for grammar, fear not – it’s relatively easy to learn. But yeah, I do recommend you get the hang of the basics before you start trying to read visual novels. I found the best thing about this VN was its brevity. I was about to say the second best thing was when it ended, but that could also be taken one of two ways also. One that I hated it so much that I was glad that it was over, or two, I just really liked the ending. Sound interesting. Might check on latter. Say, in all Visual Novel that you’ve played, which one has the best directing work? Plot line and character not concern. I’d like to see something that is very economical with great concern to detail. Maybe VN makers should learn a bit of movie making. These two have some more than glancing resemblances. Well, this kinda reminds me of Eden. Eden has a similar apocalyptic setting, but in Eden’s case, it’s more of a pre-apocalyptic one. What you mentioned there reminds me of Eden, mostly because of it’s positivity. While Eden has a bleak settings, it still mostly retained it’s sense of optimism, nobody cried a river or anything. Even the ending (which I can’t say much without revealing spoilers), gave a bittersweet, but positive feeling. I’ve always found my relationship with written Japanese amusing. Being bilingual in English and Cantonese, but with no training in reading Japanese aside from what 5 years of watching anime might have taught me, I’m able to partially decipher the meaning of Japanese text by kanji alone. This resulted in the paradox that the more difficult the Japanese text is, the more likely it is to contain large numbers of kanji and so the more I can understand it. The first sentence of the screenshot you posted, from a glance I can put together the kanji “automatic critical hit cannon platform”, so an auto-aiming cannon? On the other hand, I can’t make head or tail from simple conversational Japanese. Perhaps one day I’ll go ahead and actually learn Japanese. Hey, your guess is pretty good! The kanji you’re referring to does indeed mean auto-firing cannon (although I don’t know how the English translation of the game renders that phrase). Knowing some Chinese does indeed help you learn kanji, although from what I understand, not all the characters are necessarily equivalent in meaning. You’d probably pick up Japanese fast if you did try to learn it seriously. I tend to see the entry of any fan of Japanese media to visual novels as an eventual natural progression (which should happen even when it doesn’t ;P), especially when one goes up in a quest to find the best package (with an emphasis on story) Japanese media can give. I don’t blame many people for doubting that but no matter how much of a die hard anime fan you are, and no matter how much value you put on the -in proper cases- wonderful and sometimes downright artistic aesthetics in anime, it’s hard to against things with the magnitude of Umineko or even muv luv. Don’t get me wrong the vast majority can’t compete with proper novels in terms of story but the whole package has been more full of impact better than many classics (and I do read a fair share), it’s just that when visual novels want to make something good, they usually end up really doing that, no matter how much bumps and shortcomings they have (which is also what makes them so hard to evaluate for so many). That rant would probably go on for a while if I don’t a stop it there, so I’ll just cut to the reading in Japanese part :P. I am really bad when it comes to kanji, the very simple reason being that I literally picked up Japanese from watching anime so it’s all based on what I heard rather than properly learning it. 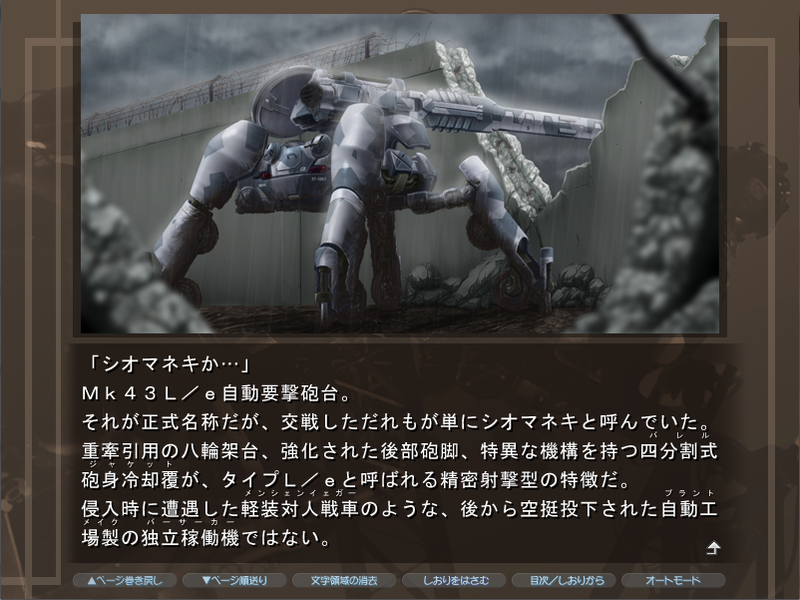 When you get to the level I am currently in however you are still able to read complex visual novels if you hook the game’s text and have a program convert it to hiragana or romaji or whatever, because it’s much easier to read (and thus understand for me) then. I’ve somehow been able to read some pretty complex visual novels so far with that but I must say without having that ability to skim you mentioned, especially in regards to that awful fight and military jargon (Yes Muramasa I’m looking at you!) you won’t be able to read any big works. However, if you have been an avid anime fan and picked up a fair deal out of it you should definitely try reading one, moeges are generally very easy if you’re used to viewing slice of life anime and it does quite a lot of wonders for your Japanese, hell there are even people who made a guide on learning Japanese through visual novels (check at the guys at fuwanovel if you’re interested). It ended up being a long rant anyway but I hope it wasn’t totally off topic. Also if it’s not obvious by now I wasn’t referring to you Froggy when I actually say you for the most part there xD.